International Conference "Computer Science and Technologies"
The specialized scientific journal "Computer Science and Technologies" (ISSN 1312-3335) helps to popularize the scientific research of the staff of the faculty as well as of other scientists from Technical University of Varna, the country and abroad. 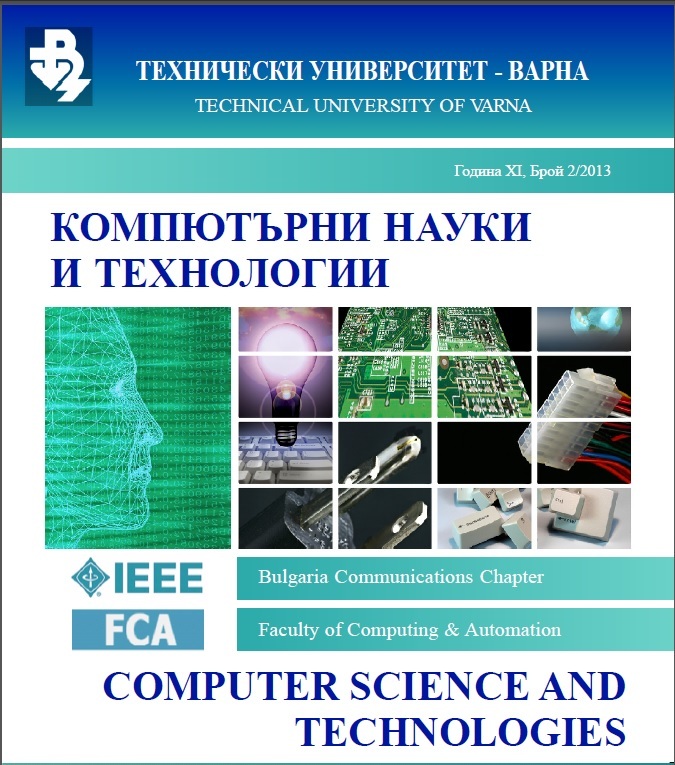 The journal also publishes the scientific papers presented at the conference with international participation "Computer Science and Technology", including the papers from the student section of the conference. vol. 1, 2013 - Proc. of Anniversary Conf. "CST'13"
vol. 2, 2013 - Proc. of Anniversary Conf. "CST'13"
vol. 1, 2014 - Proc. of II Conf. "CST'14"
vol. 2, 2014 - Proc. of II Conf. "CST'14"
vol. 3, 2014 - Proc. of II Conf. "CST'14"
vol. 1, 2015 - Proc. of III Conf. "CST'15"
vol. 2, 2015 - Proc. of III Conf. "CST'15"
vol. 1, 2016 - Proc. of IV Conf. "CST'16"
vol. 2, 2016 - Proc. of IV Conf. "CST'16"
vol. 1, 2018 - Proc. of V Conf. "CST'18"
vol. 2, 2018 - Proc. of V Conf. "CST'18"